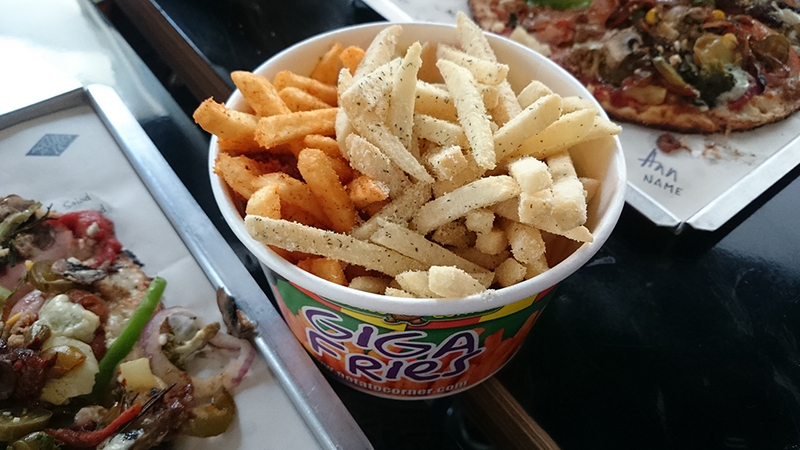 There was an entire week I got addicted to Potato Corner's Mega Fries (barbecue + sour cream) because it was so delicious and accessible (conveniently located at our building's canteen plus it's basically everywhere) I just couldn't miss it every time I'm craving for something salty, which, during that time was pretty much daily. I had to be reminded to quit this food phase cos I was gaining pounds by the day. Seriously. It was hard, but then I moved on to my next food phase sooooo yeah. Haha watch out for it on the next Food Phase Fridays! They also offer other food products like hashbrown, lollipops, loopy fries, etc. But really, just go for the regular fries haha.